Create a look that everyone will remember when they see you wearing the Alexander McQueen® Leather Sandal Slide with Fringe Detail. Genuine leather upper with cut-out details. Playful and feminine fringe decor. 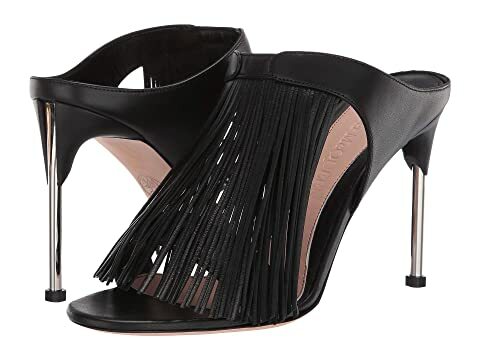 We can't currently find any similar items for the Leather Sandal Slide with Fringe Detail by Alexander McQueen. Sorry!